Kaori Suzuki (b. Tokyo) is based out of Oakland, CA. Her musical works are concerned with our inner-sensory responses and transformative states, often emphasizing duration and dynamics through meticulous synthesis techniques. 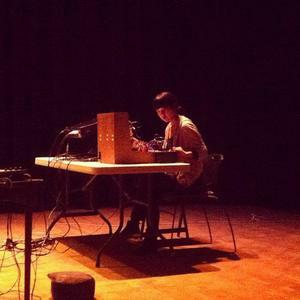 Her previous projects included handmade instruments through her building project, Magic Echo Music, and she currently involves resonant properties of transducer-driven objects and computer synthesis processes. She has performed at venues including Jack Straw Productions, Debacle Fest, TUFFest (Seattle, WA), S1 (Portland, OR), Berkeley Art Museum, Studio Grand, CCRMA (SF Bay Area), and holds a master’s degree in Electronic Music and Recording Media from Mills College.